August 5, 2016 by Ken Ward Jr. The West Virginia Office of Miners’ Health, Safety and Training confirms Donald Workman of Gilbert, W.Va., died last evening from injuries he sustained from a mine incident that occurred on Friday, July 29, 2016. The incident occurred at Spartan Mining’s Road fork 51 Mine Road Fork #51 Spartan Mine in Pineville, Wyoming County. Mr. Gilbert was a maintenance supervisor at the mine; he was 58 years old. The incident was reported to the Mine and Industrial Rapid Response System at 12:47 p.m. on July 29th. Initial reports indicate there was an ignition in the shaft of this underground mine. The miner was on the surface at the time of the incident. 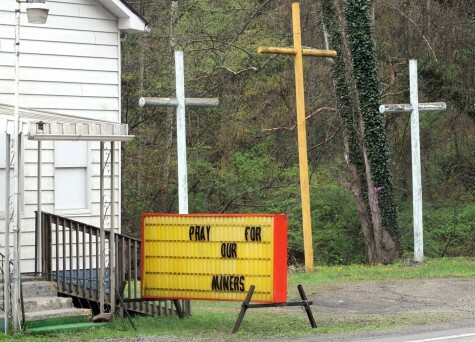 Inspectors from the West Virginia Office of Miners’ Health, Safety and Training are investigating the incident and the cause of the ignition. Further details will be released when the investigation is complete. On July 29, 2016, two miners were performing welding repairs on a dewatering pump located on the surface near a shaft. The miners were welding threaded blocks that would be used to fasten guarding for the shaft. One miner heard a roaring noise and moved away from the shaft. The other miner was in the direct line of fire and received 2nd and 3rd degree burns and was transported to a medical facility. The miner who was not burned said he saw a large blue flame exit the shaft.